This standard size double mat is used for regular wallet size school photos, Kindergarten through the 12th grade. 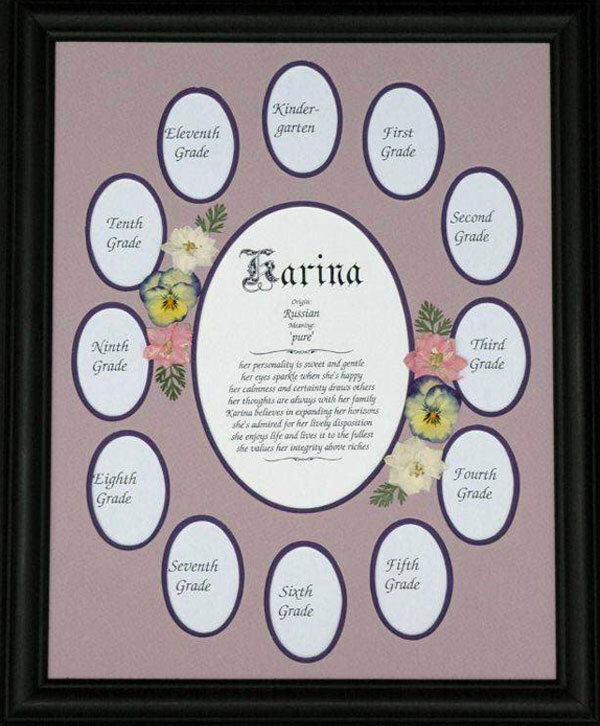 Each mat can be personalized with a name and it's meaning, or will fit a 5”x7” picture in the center opening. Any of these mats can be embellished with a viola flowers mix arrangement or leaves. I grow these flowers and dry them to retain their colors. These mats are very versatile and can be used for any array of photographs. The only limit is your imagination.